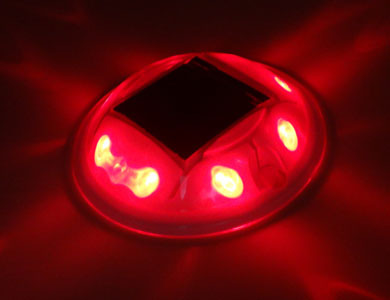 The solar road stud is composed by the solar panel, LEDs, accumulator and the shell. 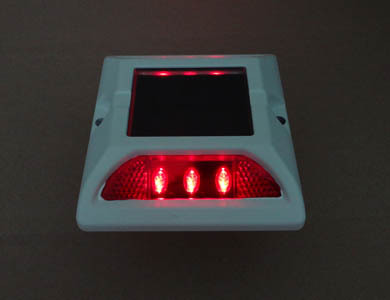 The solar panel on the top of the solar road stud absorbs solar energy in the daytime, which can be transformed into electrical energy and stored inside the accumulator, and at night, the electricity in the storage device can be automatically converted into light energy (controlled by the photoelectric switch), through the LED light to show the path outline and guide the sight of drivers. Solar road studs can be divided into the embedded type and raised type in accordance with different installation positions. The former is generally applied in the center lines and the latter is commonly installed in the edge lines. For the solar road studs installed in the center line have particularly higher requirements on the pressure resistance. In order to solve this problem, the solar road studs have to be buried into the ground with only around 5mm left above the ground. While the requirements of solar road studs used on the edge line on pressure performance is not particularly high, thus they can still work effectively protruding the ground. 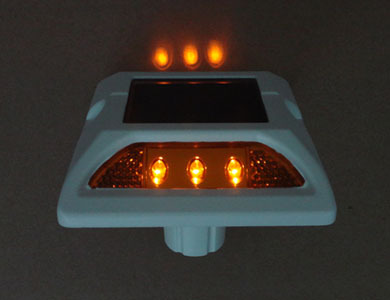 Solar road studs can be divided into capacitance and battery type in accordance with different energy storage elements. The service life of the former can be up to five to seven years, and the service life of the latter is generally ranging from one to three years. 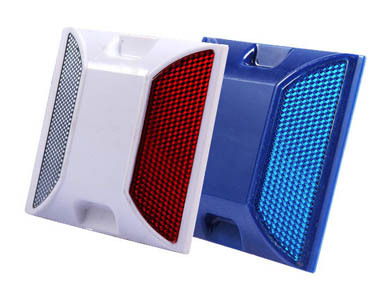 The solar road studs of the embedded type would cause serious damage to the pavement, and the cost of capacitance type solar road studs is extremely high, so the solar road studs widely applied is the raised type battery solar road studs.